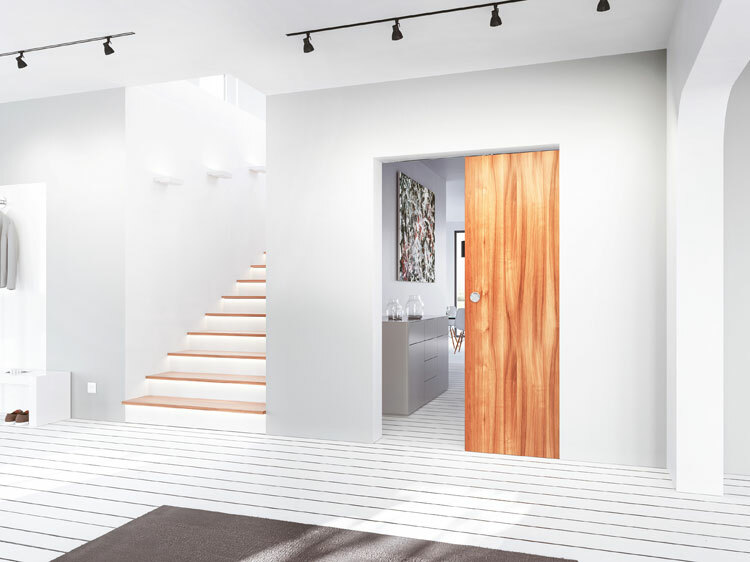 GEZE UK has enhanced its range of manual sliding door mechanisms with the addition of the Rollan 40 NT, the Rollan 80 NT and the Rollan 80 NT SoftStop – a new generation of fittings which are ideal for interior use in homes and businesses. They boast a smooth and simple operating action, are easy to fit and quiet to use. The systems can be used on doors weighing up to 40kg (Rollan 40 NT) or 80kg (Rollan 80 NT) and with any door material – wood, plastic, metal and even glass with clamped fittings. Perfect for use in schools, offices, hotels, residential centres as well as in the home, they are ideal space savers. In addition, they also provide the perfect solution for in-built storage requirements: cupboards, cloakrooms, walk-in wardrobes, or making bigger rooms more adaptable with the introduction of partition walls. Rollan products incorporate new, light-running roller carriages, meaning the systems are smooth and easy to use and they can be easily retrofitted to existing Rollan sliding door systems. The Rollan 80 NT SoftStop has an innovative draw-in damper; it can be used on an ‘opening only’ or ‘closing only’ cycle, or on both. However hard the door is closed; the impact is controlled automatically as the mechanism gently brakes the moving door and then controls it to softly slides into its final position. Aluminum runners within the Rollan systems are protected from dirt and dust by their casings, making them easy to keep clean, particularly in difficult to reach places.